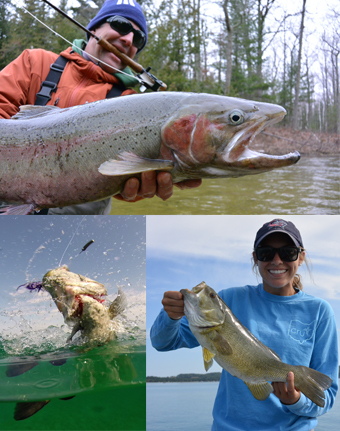 Spring is an exciting time to go fishing in Michigan - steelhead, bass, cisco, lake trout, brown trout, walleye, and perch are all available in abundance in our rivers and lakes. Our expert Captains and Guides will put you on fish, providing you with the best fishing equipment to ensure you have a great time on the water. Ranging from a variety of techniques like conventional casting gear, fly fishing, trolling or jigging, Sport Fish Michigan can help set up the trip of a lifetime. 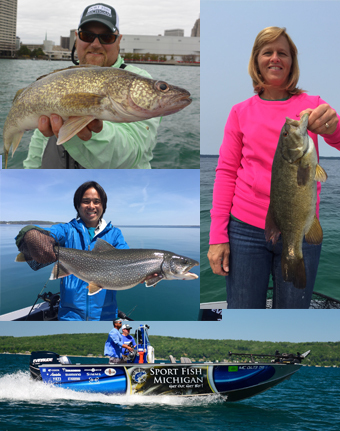 Michigan fishing with Sport Fish Michigan is an experience every angler will enjoy. 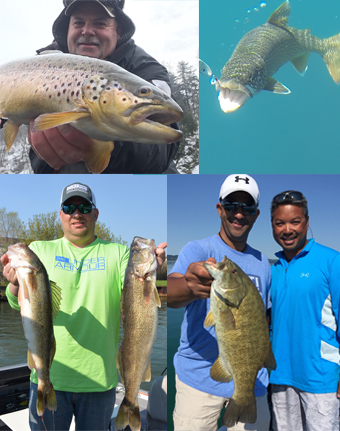 Whether you're highly experienced and looking for a Captain or Guide to lead you to Michigan's best fishing locations, or a novice interested in learning how to fish from an experienced coach in a fun and relaxing atmosphere, we'll create the perfect fishing trip for you.